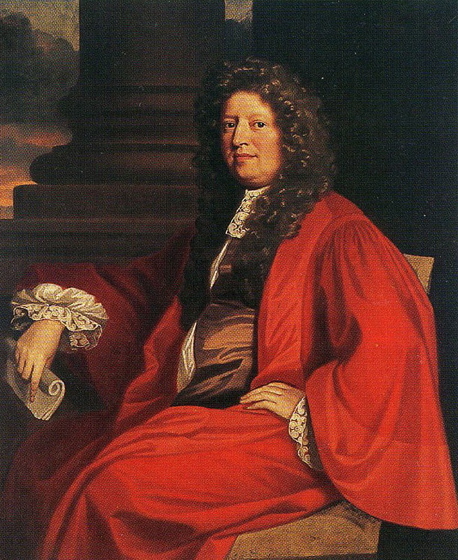 We have already used Plot's two most famous accounts of Hanwell in the introduction but it is worth considering the fact that he actually mentions Hanwell and the Cope family no less than nine times during the course of his Natural History of Oxfordshire. Here is the full complement in the order in which they appear. Hanwell Castle is also mentioned in a list of the notable seats of the lesser gentry. 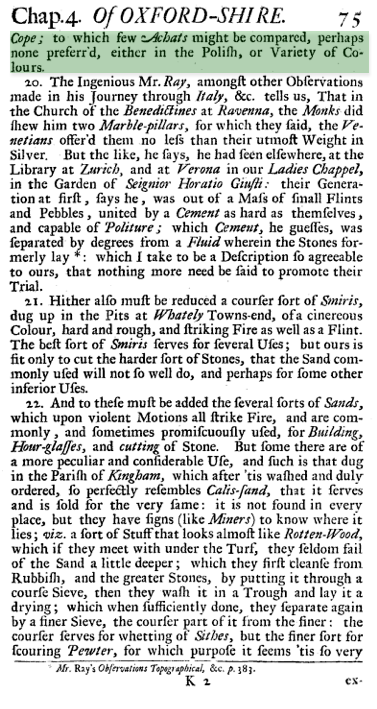 So a full reading of Plot gives us initially from page 78 the first mention of Sir Anthony in fulsome terms even by the standards of Plot's florid appellations. 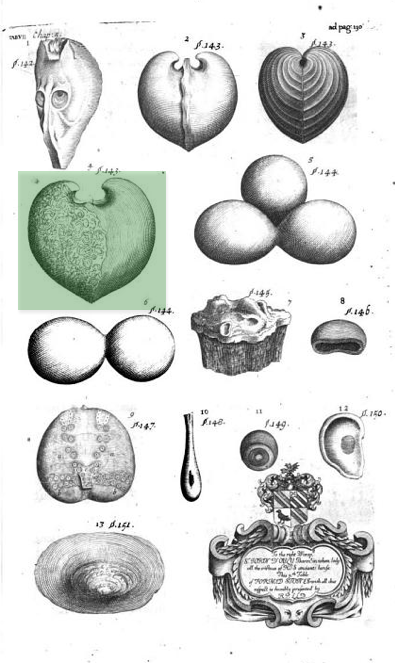 It is in connection with a transparent pebble that was no doubt part of Sir Anthony's cabinet of curiosities. 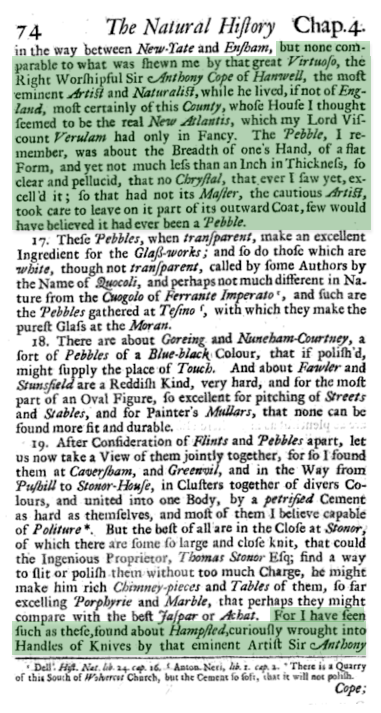 The mention of Francis Bacon's New Atlantis is intriguing not least because the comparison is presumably being made with the fictional institution of Salomon's House, a kind of state-sponsored organisation for the advancement of science. 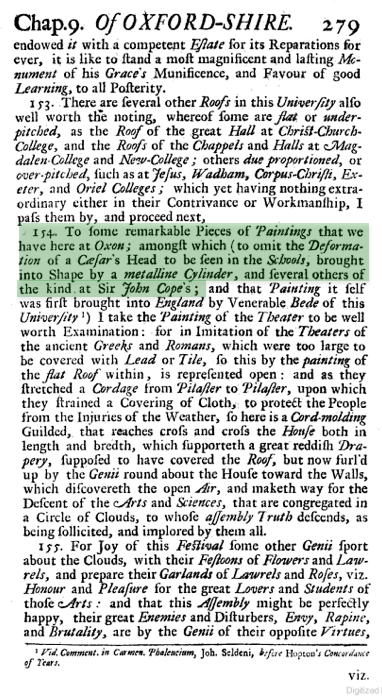 It gives us a further hint of the kind of shifting population of scholars that one might have encountered at Hanwell in the 1650s and 60s. 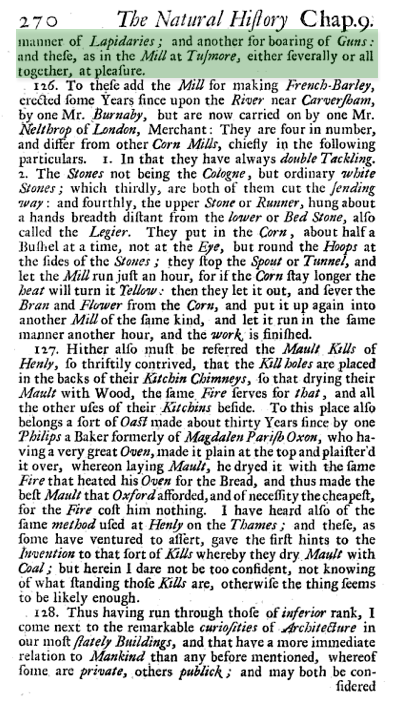 At the bottom of the same page we get an insight into Sir Anthony's cutlery drawer with his polished stone knife handles, presumably a product of the stone polishing mill referred to later. 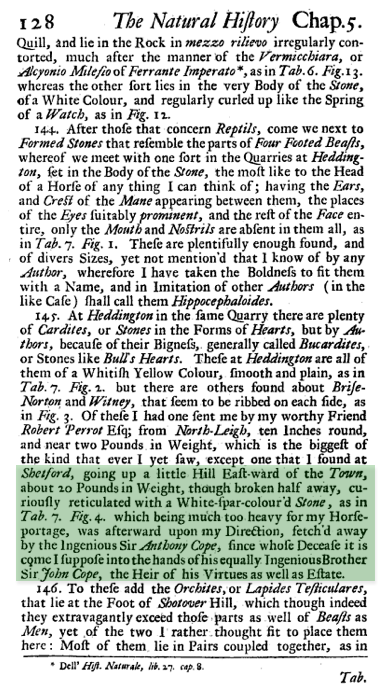 Page 128 contains a rather charming story of Plot's discovery of what looks like a very large fossil bi-valve hear the village of Shutford, about five miles south-west of Hanwell. It is too heavy for him to carry away so he evidently persuades Sir Anthony to arrange its collection. Sadly by the time the account is written Sir Anthony is now deceased and he 'supposes' that Sir John has it, presumably he has not had occasion to go and look. 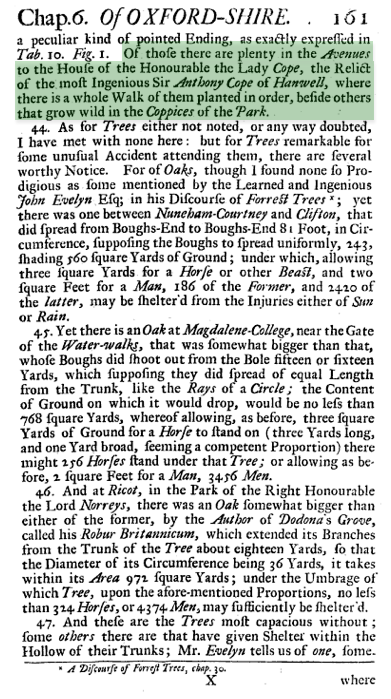 Sir John is not included in the nest reference to an avenue of Elms at Hanwell although the widow, The Honourable Lady Cope, is. I wonder if he ever visited her and what he made of her supposed descent into madness. We next witness Plot on a quest for the elusive freshwater mussel and the even more elusive freshwater pearl, he is unsuccessful but searches the pond at Hanwell as well as elsewhere. 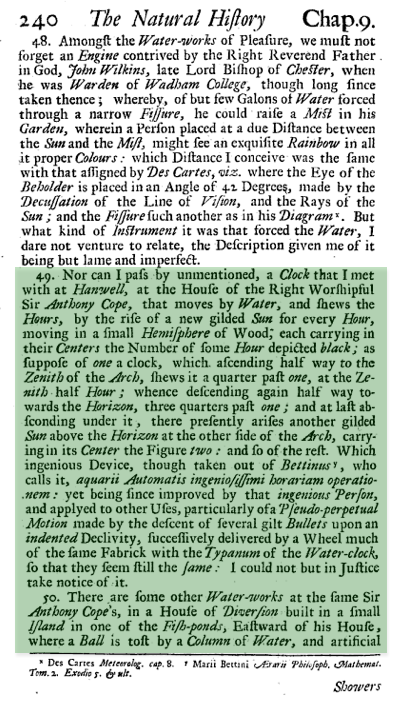 The next two entries are the familiar ones about the water clock, House of Diversion and 28 pages later the mills. 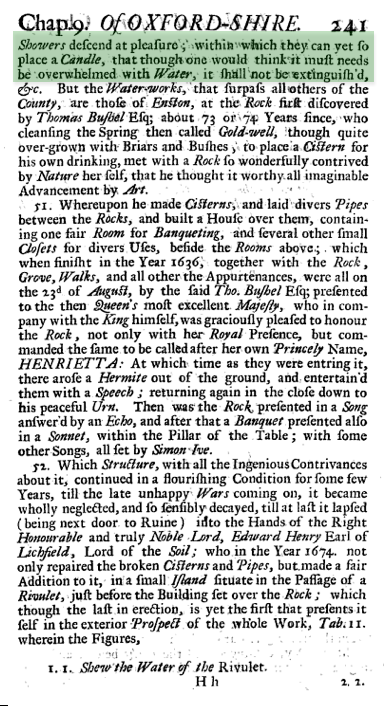 The final reference is on of the most intriguing for it clearly indicates at Hanwell the presence of a collection of anamorphic paintings, in the care of Sir John but presumably assembled by Sir Anthony. 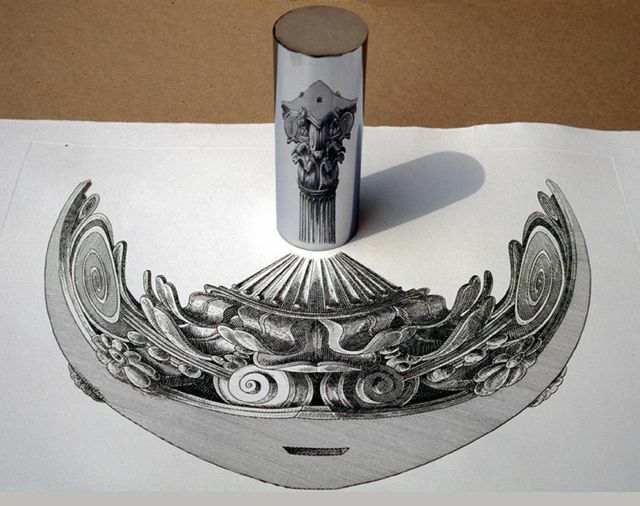 Anamorphic paintings are works which are purposely distorted so the correct image can only be viewed on a curved reflective surface, in this case a metallic cylinder. Perhaps the most famous example is the distorted skull in Holbein's painting of 1533, The Ambassadors, which has to be approached from the side to gain a corrected view. The Hanwell examples must have been more like this modern example. So what does all this tell us about Plot's relationship with Copes, especially Sir Anthony? 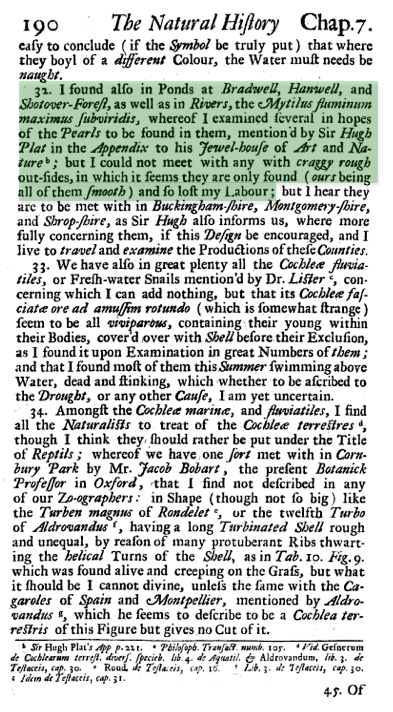 No other member of the lower gentry is mentioned so frequently nor do any other 'county' figures attract such praise. 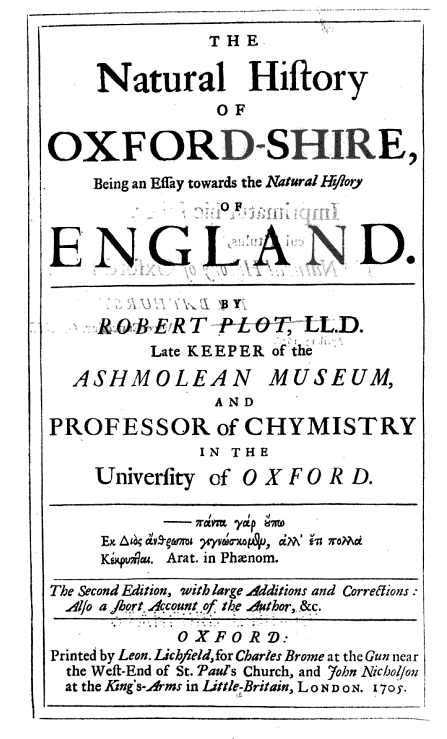 Plot speaks of Sir Anthony in the same terms he addresses to his Oxford luminaries many of whom are figures of national or international standing. So there was a liking and an admiration. 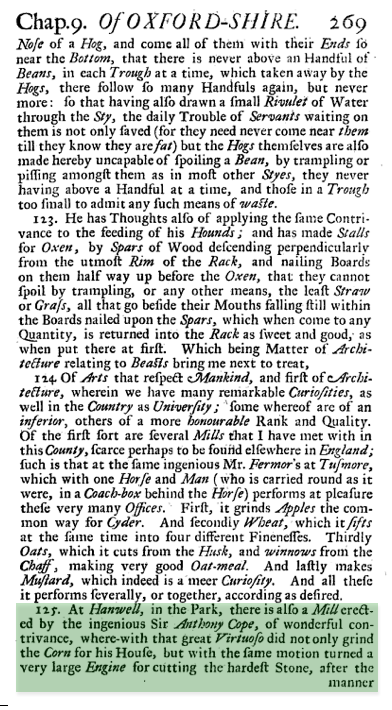 It seems that he was, at the very least, on friendly terms with Sir Anthony, feeling able to request favours and examine his cutlery. Indeed it seems reasonable to assume quite a close acquaintance possibly based on Plot making a number of visits to Hanwell during its heyday.